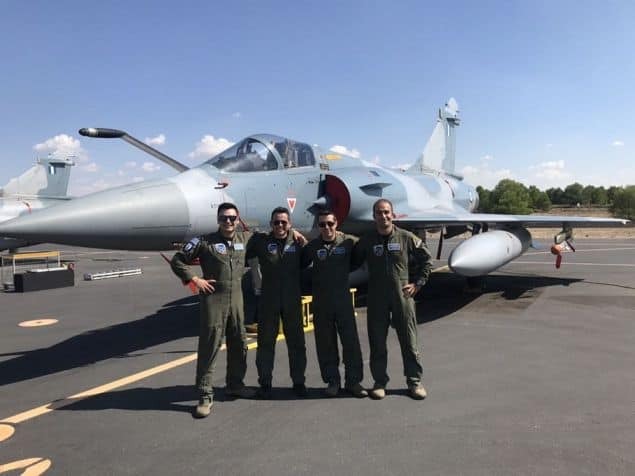 Greece’s elite pilots had a fantastic presentation at the Mirage 2000-5 in Albacete, Spain, and were named the best pilots in NATO for 2018. Greek pilots also took this title last year and in particular, the award for “Best Warrior of the World” was again won by a Greek pilot, as it has been over the last few years. From Monday, September 10th through to Thursday, October 4th, 2018, 331M (331M) of the 114 Battalion Wing / Tanagra Air Base participated in the 3rd Air Training Series for the 2018 Tactical Leadership Program (TLP), Air Base Los Llanos, in Albacete, Spain. During the competition, the 331 squadrons undertook missions consistent with the mission on both National and NATO levels to familiarise and co-operate all personnel in accordance with its standards and procedures and Greek pilots proved to be world leading. The crew from the Greek Mirages were voted Best Warriors by the Fighter Operators who took part in the TLP 2018-3 in NATO.